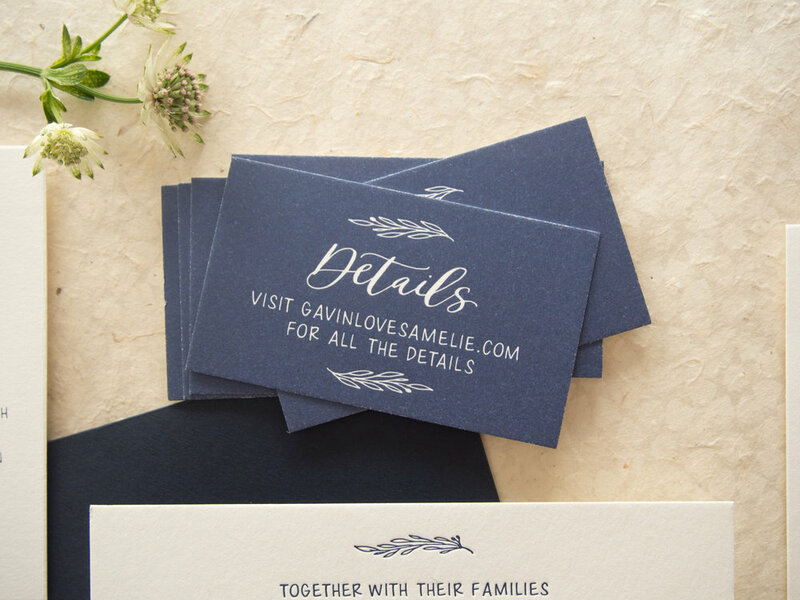 The Amelie suite is designed to be simple and sophisticated, but with an easy and casual vibe. 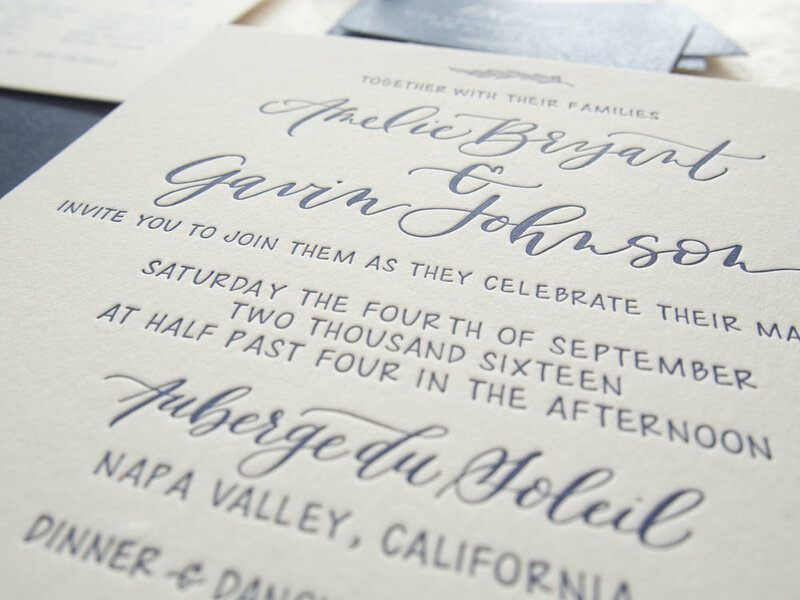 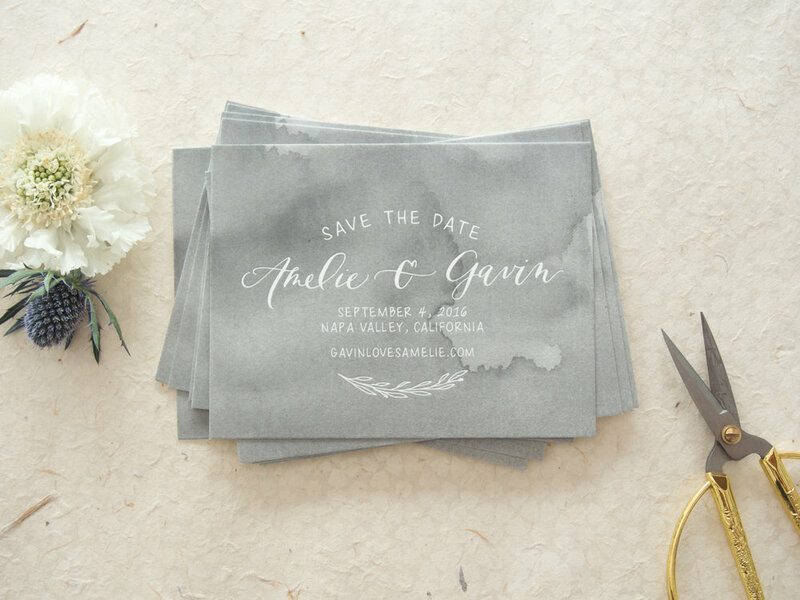 The invitation focuses on fun calligraphy but uses a simple layout and small leaf details for an organic feel. 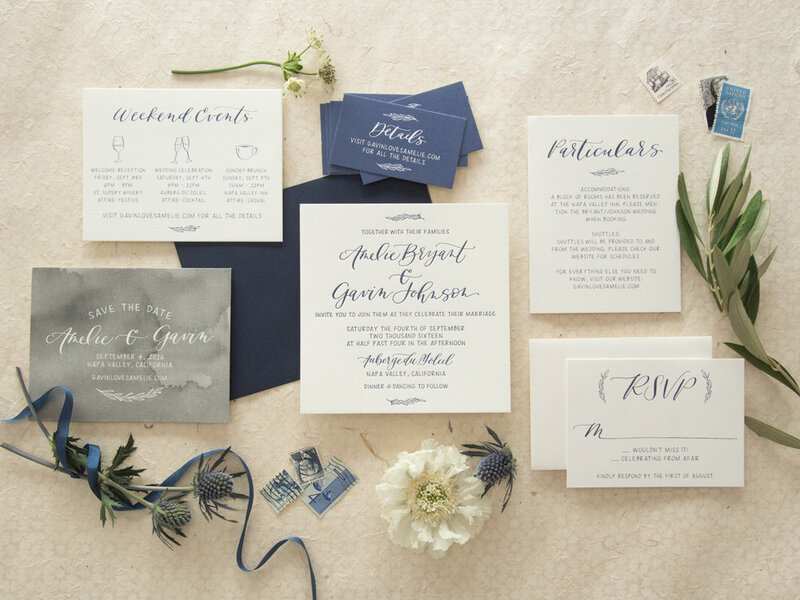 Change up the colors and envelope options for a suite that is uniquely you.